Bleach is a popular household cleaner, used in kitchens, bathroom, laundry rooms and other areas of the home. Typically made of a solution containing chlorine, liquid bleach can whiten fabrics and remove mold. And while it's great at reducing the number of germs and bacteria on surfaces, household bleach also emits fumes that can be dangerous when inhaled. Inhaling bleach fumes can cause several health risks including damage or burning of the lining of the esophagus or lungs. That can lead to coughing, gurgling breathing sounds and trouble getting enough air. These symptoms can be mild, moderate or severe depending on the amount of exposure and your respiratory health. People with asthma, COPD and other chronic respiratory health issues may experience more exaggerated or severe symptoms and/or have a lower tolerance to bleach fumes. Fumes can also be trapped on skin that comes in direct contact with bleach. While these fumes are not typically as concentrated, they can still irritate eyes, nasal passages and the throat. Clean skin that's come in contact with bleach with fresh lemon juice or vinegar to lessen the potency of fumes and reduce the risk of exposure. To prevent accidental exposure to bleach fumes as well as other bleach-related injuries, never mix bleach or any product containing bleach any form of ammonia. Doing so creates a dangerous gas that can cause chronic breathing problems and even death. To reduce your risk of a dangerous chemical reaction and over-exposure to bleach, read all labels and follow instructions when using cleaning products. azaroff WW, Weschler CJ. 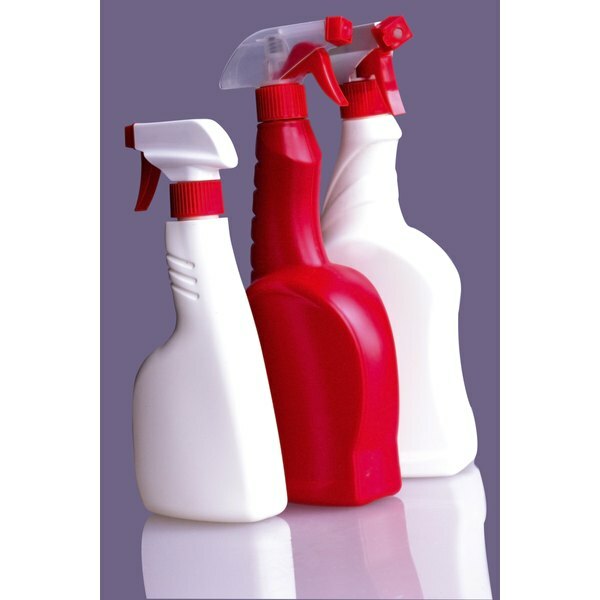 Cleaning Products and Air Fresheners: Exposure to Primary and Secondary Air Pollutants. Atmospheric Environment. 38, 2004: 2841-65. Gina Roberts-Grey, owner of GRG Productions, Inc., is a writer specializing in celebrity profiles and Q&As, as well as health, personal finance and consumer issues articles. Her health and lifestyle articles have appeared in many print markets including AARP The Magazine, Essence, Family Circle, Glamour, Heart Healthy Living, Natural Health, Parents, Parenting, Pregnancy, Woman's Day and more.